1 Bonus Brand New uncirculated $1 Poker chip from the new Aria Casino in Las Vegas. Are you a collector of Casino Poker Chips? 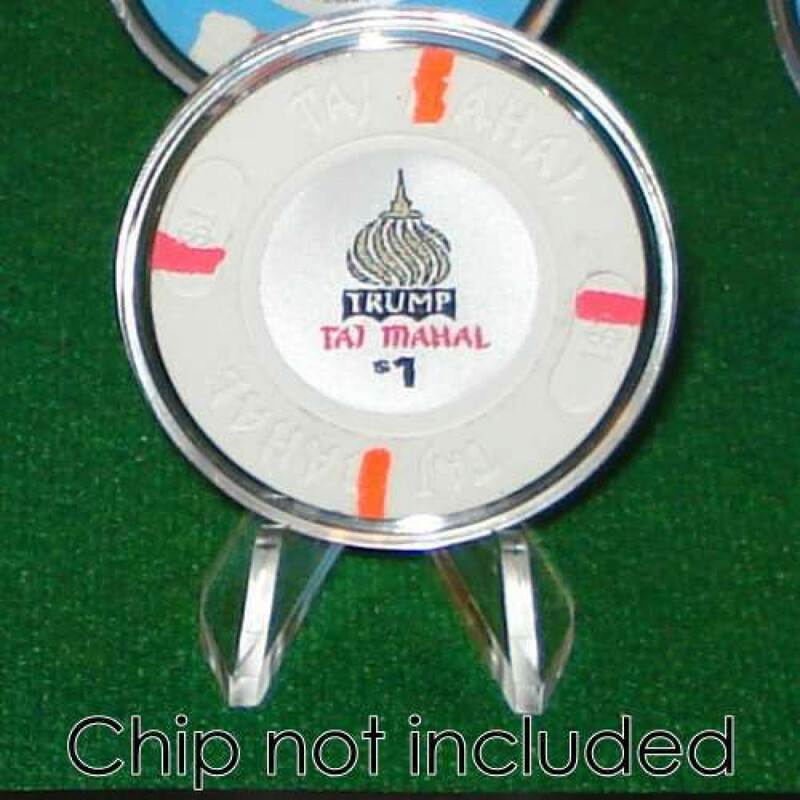 If so, you should protect them with these fantastic Air Tite poker chip capsules. Poker Chip collecting is a great hobbie and can be a great investment. Rare uncirculated casino chips have been known to increase in value over time. It is important to protect those uncirculated chips and showcase them at the same time. These Air Tite Poker chip capsules are made in the USA and are specifically designed to fit True 39mm Casino Poker chips. 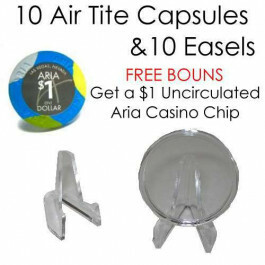 This set comes with 10 Air Tite Capsules 10 Easle stands 1 Bonus Brand New uncirculated $1 Poker chip from the new Aria Casino in Las Vegas.